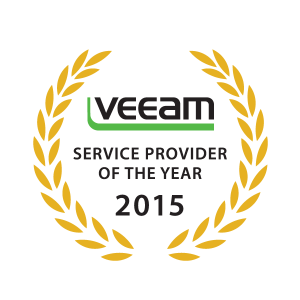 HOUSTON – January 20, 2016 – iland, a global enterprise cloud hosting provider, today announced it has been selected as the 2015 Service Provider of the Year by Veeam® Software, the innovative provider of solutions that deliver Availability for the Always-On Enterprise™. This award further validates iland’s leading cloud-based backup and disaster recovery services, extending the company’s array of accolades from customers, partners and top industry analysts. With data centers in the U.S., U.K. and Singapore, iland delivers the only enterprise cloud solutions in the market today with true innovation, transparency, intelligent management and advanced security built in. iland’s technology and consultative approach mean anyone–regardless of expertise, location or business objective–can experience the benefits of a hassle-free cloud. From scaling production workloads, to supporting testing and development, to disaster recovery, iland’s secure cloud and decades of experience translate into unmatched service. Underscoring the strength of its platform, the company has been recognized as VMware’s Service Provider Partner of the Year, Global and Americas; is part of the Cisco Cloud Managed Service Provider Program for IaaS and DRaaS; and partners with other industry leaders including Zerto and Veeam. Visit www.iland.com.